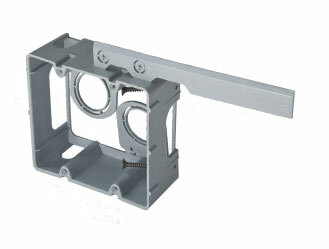 The addition of external mounting tabs gives the contractor three (3) approved mounting methods. 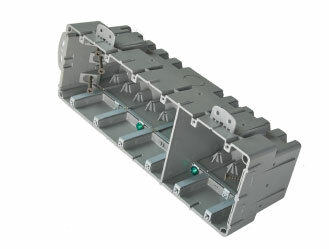 The tabs are easily removed for rewire work and adjustable depth mounting. 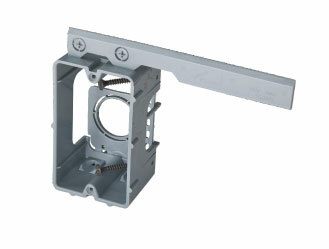 All SMART BOX products mount internally • Wall dividers are available for the (6) gang boxes for line voltage / low voltage separation • Horizontal and vertical mounting capabilities are provided with (6) gang boxes • Two (1/2”) KO locations provided in the (6) gang boxes. Match up to existing fittings in old work baseboards. 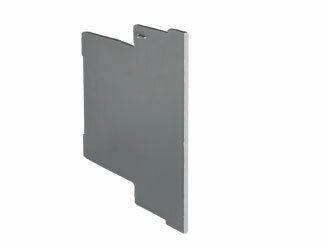 Works well on exterior siding and shingles. 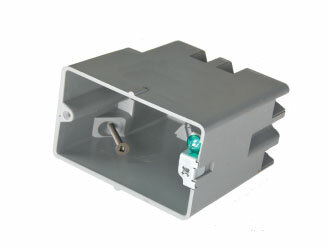 Low Voltage / Line Voltage Barrier • Wall Dividers fit all (2) – (6) gang Multi Mount Boxes (in multiple locations).